Indeed Ai Chatbots have redefined customer relationship management, by opening up newer channels of customer engagement. Today the business world has to work with cut throat margins, which can only be increased by an elevated and dedicated customer level. With the arrival of e-commerce, which has changed the plane of doing business, conversational commerce is the need of the hour. This method of customer engagement is a cut above, over the previous app or website based customer touch points. Ai Chatbot is a computer program, which is coded to impersonate human conversation skills. The Artificial intelligence enables the computer to perform to the extent, that a human, in this case our customer, will not be able to distinguish it between a human or a computer program. Ai Chatbots have the ability to initiate and continue audio as well as textual conversations with customers, providing them with a wonderful personalized experience. By 2020 Ai Chatbots would have revolutionized the markets by providing one to one conversation with the prospects, addressing their pain points and aspirations. Using natural language processing systems chatbots, counters the queries raised by customers, instantly. Natural Language processing systems are capable of delivering high value computational linguistics, which involves speech recognition, language understanding and generation. These machine learning algorithms takes from large amount of inputs and takes decisions instantly about the desired output. The presence of Ai (Artificial Intelligence), enables the computer to decode unfamiliar input, thus making it a self evolving system. Today organizations are looking for Ai systems, which could enhance the sales conversation rate, improve website traffic movements and increase revenue. This artificial dialog system is a state of the art one, which needs no human intervention, while addressing customer queries. In this way, organizations can save on the manpower cost, not to mention, the possibility of human error. With a self evolving automated system like Ai Chatbot, organizations can breathe free, as the technology can be programmed to work round the clock, negating the need for running expensive employee night shifts. It can also be programmed to integrate with other technology platforms, like Whatsapp, WeChat, Facebook Messenger, etc. AiChatbots can also be used for intra-organizational communication, like leave application to HR department, fixing a meeting or passing a message across departments. Advanced ERP systems like SAP can be easily integrated with Ai Chatbots, to perform a host of functionalities. Nowadays, almost all the call centers use this automated approach, as the first point of contact for the customers. The technology has also been used for applications other than computing like children toys. The toys are programmed with chatbots to deliver a storyline, which is fantasized by children. However, designing the chatbot requires a careful approach. The designer must understand the personality of the chatbot to be manufactured. He must place himself in the shoes of customer and then program the Chatbot to answer queries, which may be asked by customers. To speed up the process, the designer has the luxury of choosing amongst various tools, which would help him see, real-time previews of the process. Chatbot analytics can be used to analyze consumer interaction pattern, which can be further used to device marketing strategy or re-furbished the Chatbot in itself. To add versatility, the entire process of developing the chatbot could be carried out on cloud based platform. These cloud based platforms are known to facilitate the usage of natural language processing and mobile backend as a service. However, there are basically two main types of Ai Chatbots, one is rule based and the other is machine learning based. Both the versions find extensive usage in the field of commerce, to capture the voice of customer, in a smart manner. 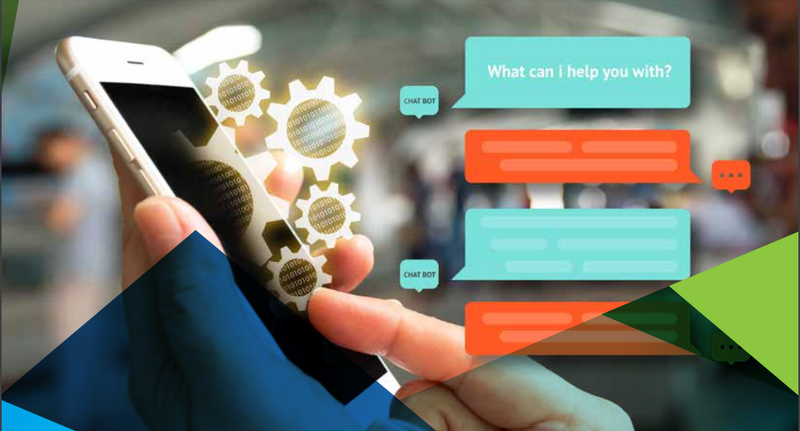 With Ai extending its capabilities every minute, chatbots with its deep learning abilities about customers, will be a must have for profit seeking organizations. The future of this technology looks brighter, with chatbots possessing more storage power, which will help them recall vast customer interaction scenarios. This latest brand engagement method, would lead the organizations to establish, deep market penetration, both horizontally and vertically. With its sentiment analysis and image processing capabilities, chatbots will pave the way for next level of consumer behavior analysis.